San Francisco, April 3: Pulling away efforts of competing with social networking majors like Facebook and Twitter, Google has begun the process of shutting down its social networking app Google+. 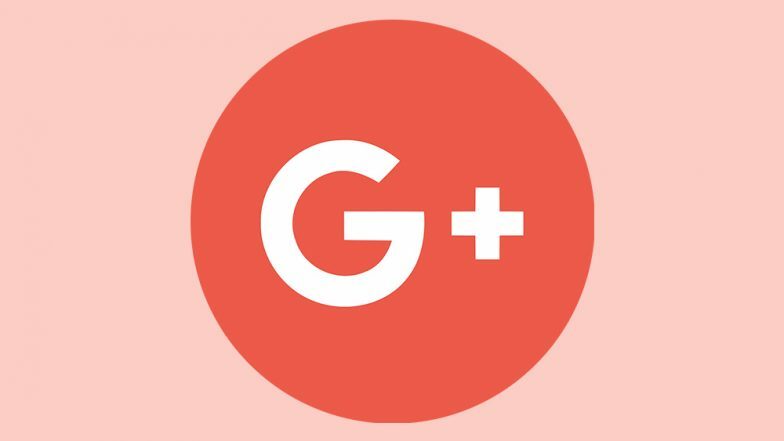 Even though the process of completely deleting all personal Google+ accounts would still take a few months, content deletion including photos and videos from Google+ album archives have started, The Verge reported on Monday. The search-engine giant's plans of putting an end to Google+ were officially announced in October 2018. 52.5 Million Users Affected by Google+ Data Breach; Google To Shutdown Social Network by April 2019. Apart from just low user engagement, the demise of Google+ also came as a result of a software design flaw that exposed some private user data to third-party developers including occupation, gender, age and email address. The flaw had existed since 2015 and it could potentially have affected up to five lakh Google+ accounts. The platform was launched as Google's own social networking platform in June 2011.